Stonehenge is a 100% cotton deckled paper that was originally created for printmakers as a high quality alternative to European mould made papers. However, since then it has become increasing popular with artists working in a wide range of media. 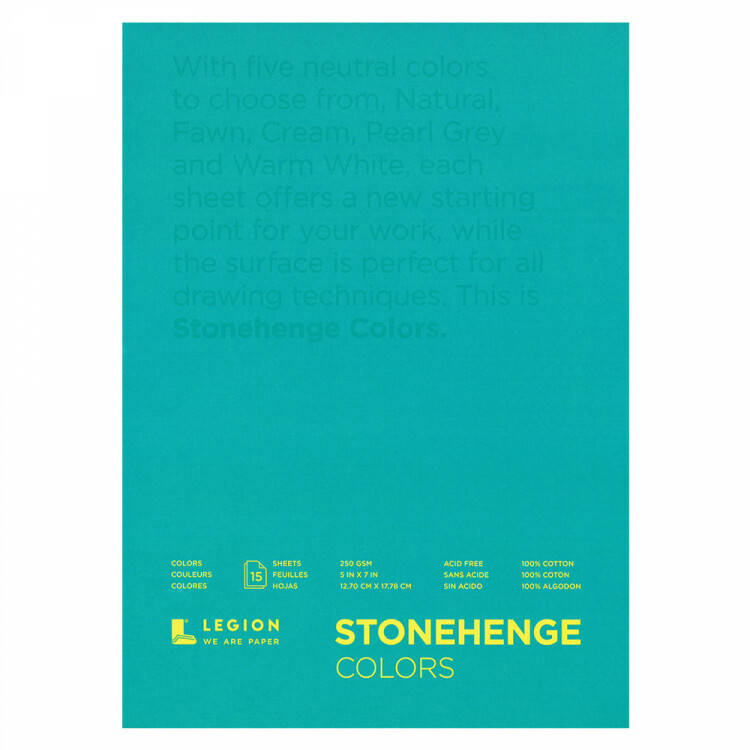 Each Stonehenge Pad contains 15 sheets and is available in a variety of sizes. 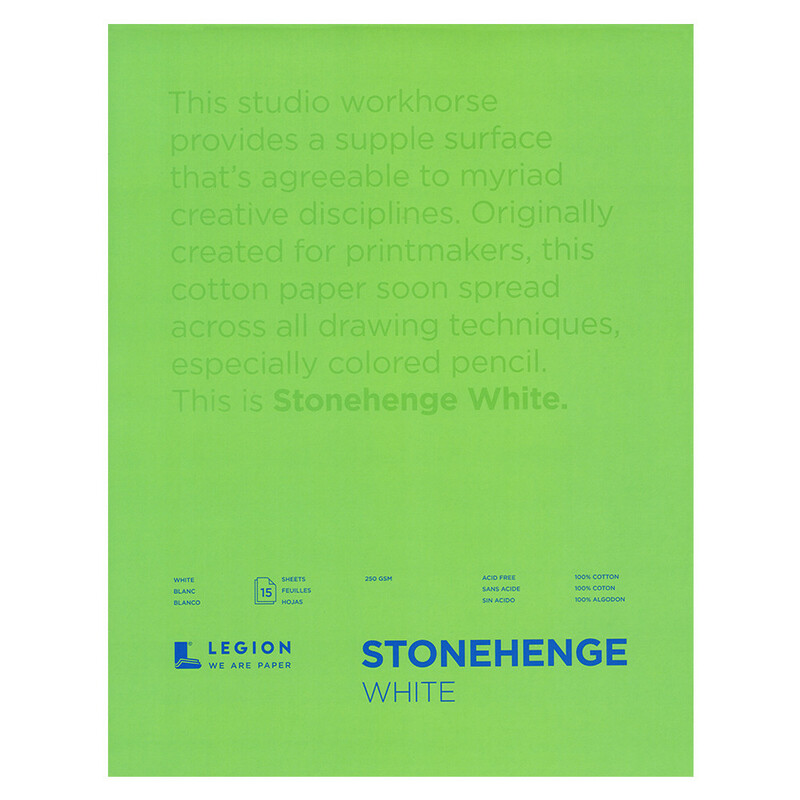 Stonehenge paper comes in medium to a light weight variants including 135gsm and 250gsm. Each sheet is made in the USA and is acid and chlorine free as well as being pH neutral. The Stonehenge fine art paper sheets have a smooth, flawless, slightly mottled surface to resemble vellum. They are acid-free, buffered with calcium carbonate to help protect the artwork from damage. 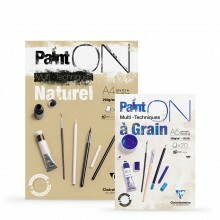 This paper has become one of the finest papers for pastel, pencil, charcoal, acrylics and watercolour. Two of the edges are deckled while the other two are cut. Stonehenge’s Multi Colour drawing pad includes 15 sheets in five neutral colours : natural, fawn, cream, pearl grey and warm white. These sheets are designed to give you a exciting new ground to work up from with each drawing you complete.